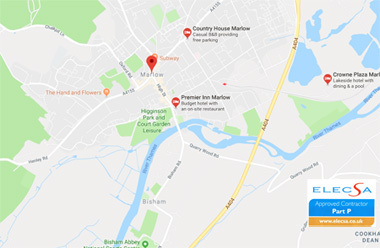 We have been providing electrical services throughout Marlow and right across Buckinghamshire for many years. We understand the frustration of having to invite tradesmen into your home and that is why we are extremely conscientious and aim to get done as quickly as possible with minimal disruption. Many of our customers are repeat customers and call on us whenever they have an electrical requirement or issue. We offer an honest reliable service, so you will have no reason to call anyone else. That's good for us and good for you. LED Lighting. Is it time to replace your outdated lighting and give your home a brighter, clearer feel. Security Lighting installation or repair.